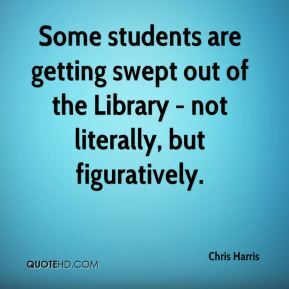 Some students are getting swept out of the Library - not literally, but figuratively. 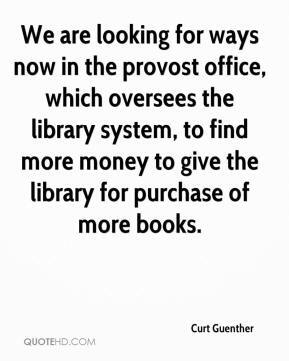 We are looking for ways now in the provost office, which oversees the library system, to find more money to give the library for purchase of more books. 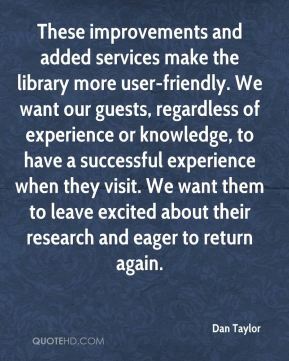 These improvements and added services make the library more user-friendly. We want our guests, regardless of experience or knowledge, to have a successful experience when they visit. We want them to leave excited about their research and eager to return again. 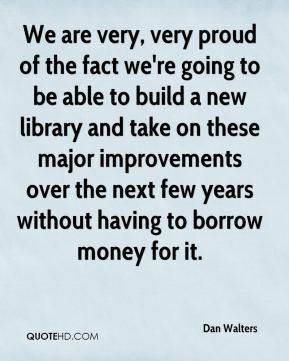 We are very, very proud of the fact we're going to be able to build a new library and take on these major improvements over the next few years without having to borrow money for it. By and large they are pretty good. 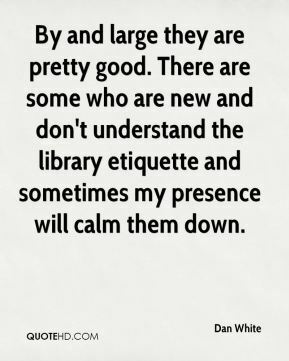 There are some who are new and don't understand the library etiquette and sometimes my presence will calm them down. 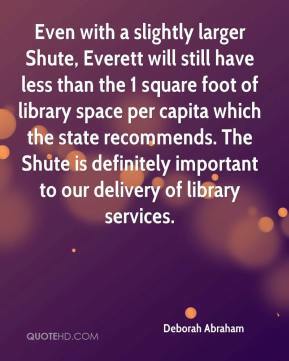 Even with a slightly larger Shute, Everett will still have less than the 1 square foot of library space per capita which the state recommends. 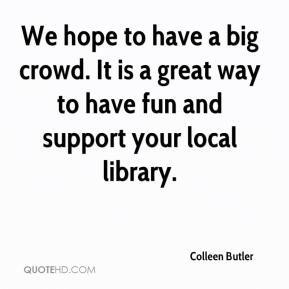 The Shute is definitely important to our delivery of library services. 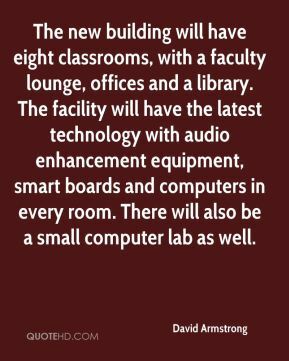 The owners of this library are the taxpayers who put up the money to get it built. 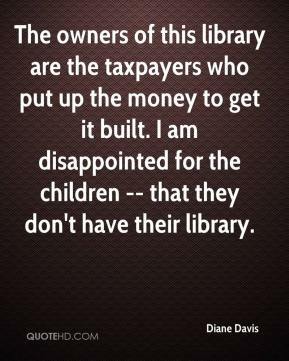 I am disappointed for the children -- that they don't have their library. 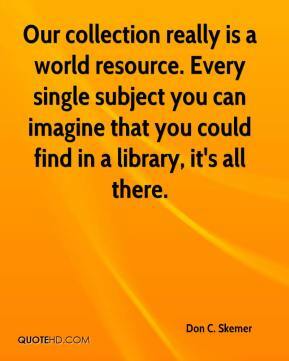 Our collection really is a world resource. 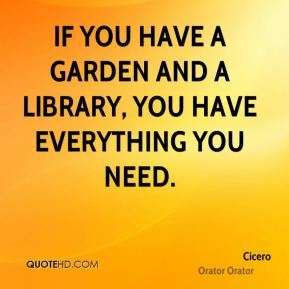 Every single subject you can imagine that you could find in a library, it's all there. 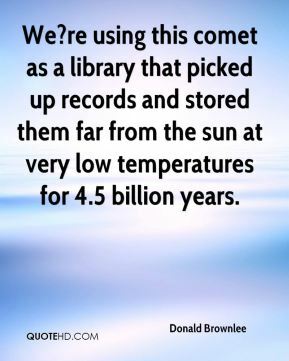 We?re using this comet as a library that picked up records and stored them far from the sun at very low temperatures for 4.5 billion years. 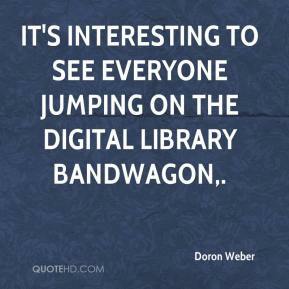 It's interesting to see everyone jumping on the digital library bandwagon. 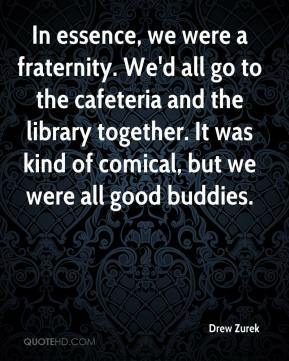 In essence, we were a fraternity. 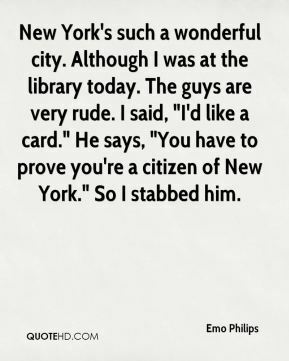 We'd all go to the cafeteria and the library together. It was kind of comical, but we were all good buddies. 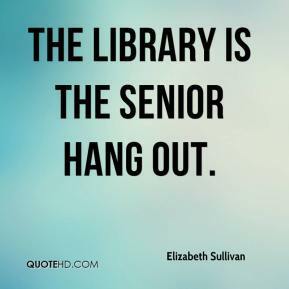 The library is the senior hang out. 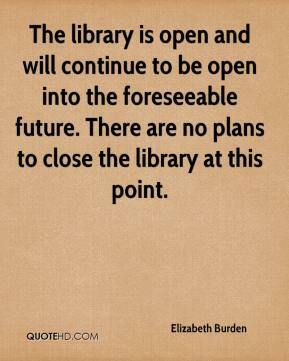 The library is open and will continue to be open into the foreseeable future. There are no plans to close the library at this point. 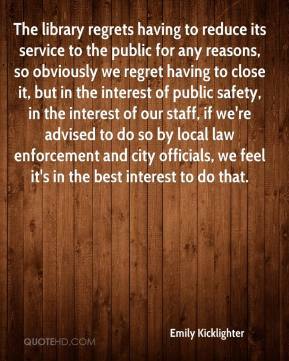 The library regrets having to reduce its service to the public for any reasons, so obviously we regret having to close it, but in the interest of public safety, in the interest of our staff, if we're advised to do so by local law enforcement and city officials, we feel it's in the best interest to do that. 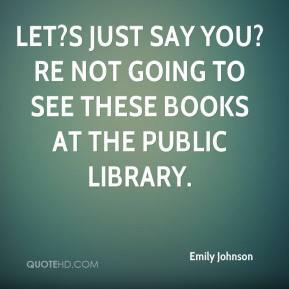 Let?s just say you?re not going to see these books at the public library. 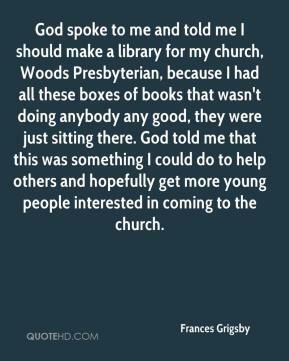 God spoke to me and told me I should make a library for my church, Woods Presbyterian, because I had all these boxes of books that wasn't doing anybody any good, they were just sitting there. God told me that this was something I could do to help others and hopefully get more young people interested in coming to the church. Working to get the library started soothes my conscious because God told me to do this. I realize it will take a long time but it will happen. 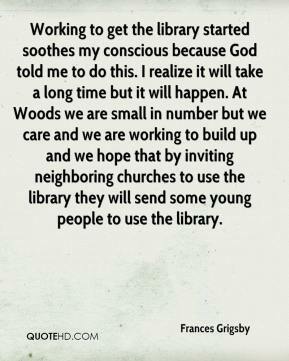 At Woods we are small in number but we care and we are working to build up and we hope that by inviting neighboring churches to use the library they will send some young people to use the library. 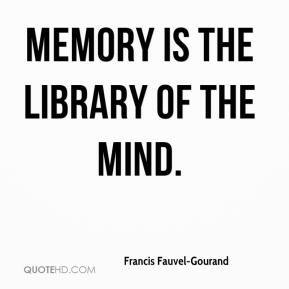 Memory is the library of the mind. 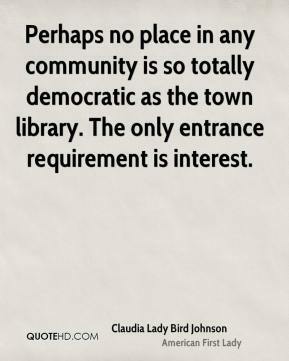 I love the Plymouth library. 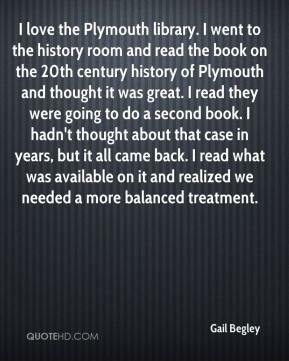 I went to the history room and read the book on the 20th century history of Plymouth and thought it was great. I read they were going to do a second book. I hadn't thought about that case in years, but it all came back. I read what was available on it and realized we needed a more balanced treatment.